Another year of cupcakes and candles is an acute reminder that I’m just an aging blogger. And, there are some readers out there who actually believe I fly on the Harley-Davidson corporate jet, that Mark-Hans Richer (CMO) writes me a personal check every month for the magical posts I throw down about the motor company and that the kind words about Keith Wandell (CEO) were because he sent me a case of chrome Road Glide parts to fence on the black market. I am in the middle of a blacked-out billet phase on the Road Glide with no chrome parts for sale, but the point is about aging and obsolescence. You’ve got to know, turntables did not become the rage until the very late sixties, in some cases the seventies. Audiophiles might have had an AR or a Thorens, or if you really had some money you’d purchase a Duals, but before that… there were only record players. The tone-arms were about as sleek as a Ford F-350 truck. Heavy, and they were rarely automatic. In fact, you’d often need to tape a dime on top to ensure they did not skip. But what brought me back in time was that little arm, the little piece of plastic on the side… It was the lever you used to flip the needle from 33 to 45. And when you thought the music was getting a bit distorted, a bit scratchy, you’d go to your local electronics shop, which was just like an auto parts store, but with more dust, and you’d hold the needle in front of the guy behind the counter and he’d go back and retrieve a new one. It came encased in a tiny plastic jewel box, sitting on a piece of foam rubber. You’d go back home, pop it in, and listen once again through that all-in-one unit with the single speaker. This was the way it was done. It was a routine and as familiar as dialing a rotary phone. But, it’s been lost to the sands of time. It’s one thing to look at pictures on the internet of stuff that happened long before you were born. It’s quite another to be jolted into a past that you were extremely familiar with which has completely disappeared. Things change and technology accelerates the pace. We heard for a decade that digital photography was going to kill film and that Kodak wasn’t prepared. Yet it seemed to never happen, then almost overnight everyone had a digital camera and Kodak filed for bankruptcy. Just because the future isn’t here yet it doesn’t mean it’s not coming. 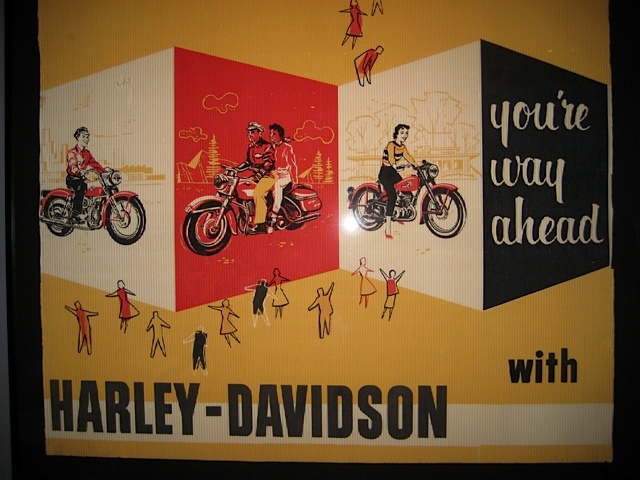 Is Harley-Davidson the Kodak of the future? They believe they’re in the memories and shared experience business when they really produce motorcycles! Tell me which H-D touring model has a highly advanced semi-active suspension system which is capable of automatically adapting calibration to the type of path, asphalt and riding style the rider adopted? Do any H-D cruisers have a multi-map ride-by-wire accelerator, traction control adjustable to multiple levels with multi-channel ABS (which can both be disengaged)? What key features were developed from all the years of racing experience and applied to the product? Are touring V-twin engines a jewel of technology and capable of producing power and torque above the closest competition? It’s like they’re standing on ceremony, waiting for the past to return when nothing of the sort is ever going to happen. It’s my viewpoint that the motor company needs to better COMMUNICATE the changes being considered for future products. A product roadmap if you will. We hear a lot about manufacturing optimization process changes, but when you put the bottom line first, you head straight towards obsolescence. Harley-Davidson needs to get in the river and swim alongside its audience. For example; I know a half dozen riders who have purchased 2-3 H-D motorcycles each over the past 10 years. Not once has the motor company contacted these riders requesting feedback or soliciting ideas for product improvements. Why? If you want to be relevant in the future, you’ve got to innovate and lead. When you get the motorcycle public embracing your plans, people will do your marketing if they believe in your product. Provide more access to H-D experts/employees along with technical information via social media. Provide more do-it-yourself customization and/or how-to maintenance info; webcasts H-D TV or on a H-D Education Channel. 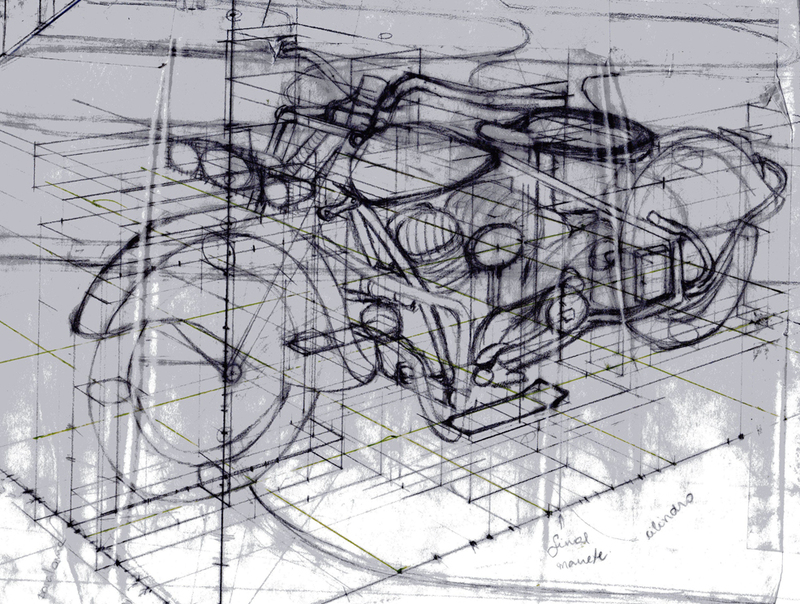 Sponsor an educational program such as a “Tech Tuesday” video chat with experts to help consumers get more familiar with the technology and motorcycle culture. Invite independent bloggers to cover pre-launch and launch activity. Provide bloggers similar access granted to the trade magazines to the factory. We understand press embargoes and know the drill. Provide bloggers limited access to your corporate sponsored dealer events. You stay relevant by continuing to play. By taking chances. Innovating. Once you rely on your greatest hits, you’re toast.